Carrefour, the huge hypermarket of the French retailer located at the Sunset road Kuta is selling clothing, fridges, food, furniture, dairy products, computers, TVs etc. Boutiques, food court, bookstores can be found on the third floor. 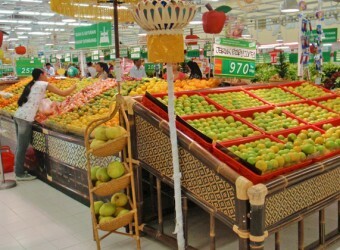 At this huge shopping center you can get all you needs including household groceries, textiles, bazaar etc.